Former MK Ayoub Kara asked Defense Minister Moshe Yaalon to prevent the entry of any more Syrians into Israel for medical treatment. Former MK Ayoub Kara on Wednesday met with Defense Minister Moshe Yaalon and asked him to prevent the entry of any more Syrians into Israel for medical treatment. Under the guise of “humanitarian treatment,” hundreds of terrorists have gotten free medical treatment in Israeli hospitals, he claims. Speaking with reporters, Kara said that he had visited Yaalon at the Defense Ministry in Tel Aviv to discuss the matter after he received an explicit promise regarding the matter. Yaalon several months ago told Kara, the former MK said, that the Defense Minister would put a stop to the hospitalizations, but in reality they were continuing. Kara quoted numerous Druze residents of the Golan who said that acquaintances of theirs from over the border had been admitted to Israel for medical treatment. 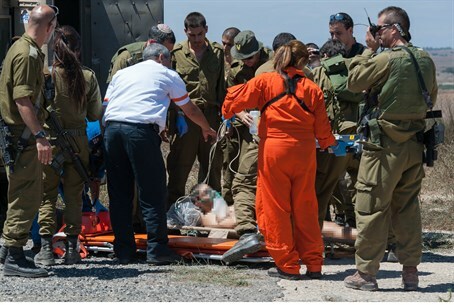 Kara said that many of those who had been admitted to Israeli hospitals were members of terror groups, according to those reports.